The good news about panic attacks, the sudden surge of anxiety and overwhelming fear that occurs for no obvious reason, is that they usually only last about 10 minutes. The bad news: They can be some of the most terrifying minutes of your life. As a result, many panic attack sufferers start to live in fearful anticipation of future attacks, which can exact a huge physical and emotional toll. But by developing coping skills, most people who have panic attacks are able to manage their symptoms. Panic attacks are typically experienced through a combination of uncomfortable physical symptoms, distressful emotions, and upsetting thoughts. Physical symptoms, such as shortness of breath, sweating and shaking, usually mark the beginning of a panic attack. These symptoms typically trigger fearful thoughts and emotions, which in turn can intensify your feelings of anxiety. As fear escalates, symptoms may also rise. Even though panic attacks usually subside within about 10 minutes, a heightened sense of anxiety and uneasiness can stay with you for hours after an attack. Given how frightening these symptoms can be, it's not uncommon for panic attack sufferers to begin to fear the onset of future attacks. 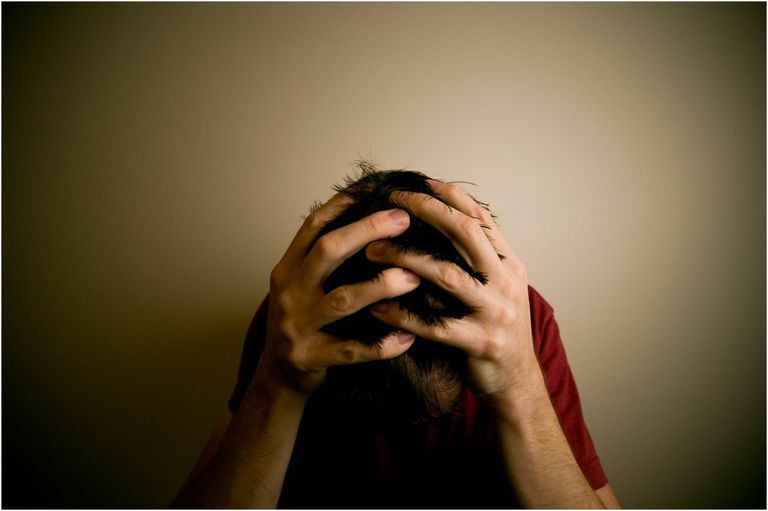 People with panic disorder often change their behaviors in response to a fear of panic attacks. For instance, you may avoid certain places or situations that you believe can trigger another attack. Unfortunately, avoidance behaviors only ease anxiety in the short run and often lead to more long-lasting fears. This creates a cycle of fear and avoidance that can greatly limit and negatively impact your overall functioning. A lack of information and understanding may be what's contributing to your fear of panic attacks. The first step in getting past your feelings of fear and apprehension is to gain a better understanding of your symptoms. Having more information about panic attacks may help you know what to expect during an attack and feel less afraid of your symptoms. Once you understand more about your symptoms, the next step is to acknowledge and accept your panic attacks. This is certainly easier said than done, but resisting your symptoms can often lead to increased feelings of fear and anxiety. Think about your last experience with a panic attack and notice how your feelings of fear and nervousness played a role in escalating your symptoms. By altering your perception of your panic attacks, you may be better able to cope with them. After you've begun to accept your panic attacks, you can start to change the way you respond to them. For example, instead of reacting to physical symptoms with nerve-racking thoughts such as “I’m losing control,” you can learn to respond to the symptoms with increased calm and clarity. Relaxation techniques such as deep breathing, mindfulness meditation, or yoga, can be practiced to help you get in touch with your relaxation response. Repeating positive affirmations such as, “Despite my anxiety, I accept myself,” can also help in getting past fear. By working on changing how you react, you can start to remain in control during panic attacks. Acknowledge: The next time you notice increased anxiety or panic symptoms, simply pause and take a breath. Take this moment to recognize that you are experiencing heightened panic and anxiety. This simple act of acknowledging your symptoms at the start of a panic attack can give you a sense of power over your fears. Accept: Rather than trying to run away from or resist your symptoms, come to terms with the fact that you are having a panic attack. Acceptance doesn't mean that you're giving in to panic, but it can provide you with the clarity needed to get through panic attacks. By choosing to view your panic attack symptoms differently, you may be able to overcome your fear of them. Keep in mind that this process may take time. It's okay if you don’t always react the way you'd like. You can learn from your setbacks and use that knowledge going forward to help you make it through the next attack. Keep trying, and over time you may find that you're feeling more in control of your panic attacks. If you experience panic attacks, your first step should be to see your doctor. Panic attacks are the most prominent symptom of panic disorder, a type of anxiety disorder, but these attacks are also often associated with other mental health and medical conditions. If you are diagnosed with an anxiety disorder, rest assured that not only are they extremely common (they're the most common mental illness in the U.S., affecting 18 percent of the population), they're also highly treatable. But it's important to get help early since anxiety can be harder to treat if you wait.